Timmy Dwyer is a dairy farmer from Holycross, Thurles, Co. Tipperary, milking a herd of 120 spring-calving cows. The farm is home to 123ac and an additional 35ac are leased. While 120 cows bring a heavy workload with them, Timmy has help and takes every Sunday off to unwind and a relief milker comes in during the milking season. Likewise, the Tipperary-based farmer hires help during the busy spring when cows are calving. After that, Timmy is primarily the only labour unit on the farm. In attempts to reduce the workload and make his life easier, he turned his attention to automation and technology; something that Timmy believes has benefited his farm and his system. 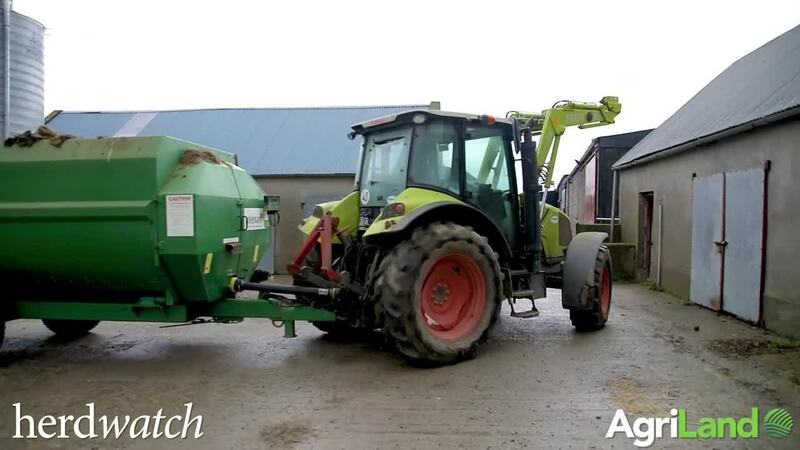 Last year, automatic calf feeders were installed on the farm. In addition to the calf feeders, a drafting system was also installed. This has helped greatly in the springtime when it comes to AI. Moreover, a feed-to-yield system is currently being installed in the milking parlour before the first cow is due to calve at the end of January. Having previously operated an automatic feeding option, the feed-to-yield system will allow Timmy to look after the individual cow better. To complete the improvements, a new meal bin will be installed before this year's calving and milking commences. After first hearing about Herdwatch five years ago, Timmy is now a long-term user.Timmy relies on Herdwatch to help in the everyday running of his farm. Some of the features which Timmy uses Herdwatch for include calf registration and animal movements. As Timmy has to deal with a lot of calves primarily on his own, he outlined that the scanning method for calf registration is a major time saver. “I go out and tag the calf and then register all my calves as I go along. You have no messing up with breeds or male or female; everything comes back properly on the card." Register calves as you tag them through Herdwatch. Tipperary dairy farmer Timmy finds Herdwatch extremely helpful when it comes to recording remedies for Bord Bia inspections. “Everything is recorded. I make sure and record the same day as when I’m doing it because it’s hard to go back and do it later. It’s on your phone and it is easy enough to follow once you have it in your hand." 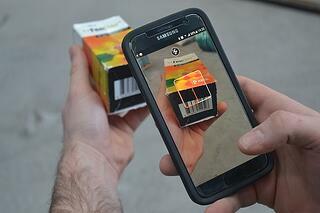 Herdwatch allows farmers to simply scan their farm medicines into the app using the camera on their smartphone. This gives farmers the confidence that their records are 100% accurate and in the event of a farm inspection, all the farmer has to do is show the Inspector his reports from Herdwatch. Timmy also uses Herdwatch from a breeding perspective. Through Herdwatch he can track what cows were served and when; and he can also track repeats.Timmy also highlighted that Herdwatch is very useful when it comes to scan dates and that it is linked very well with the Irish Cattle Breeding Federation (ICBF). Notifications on the watch-board will allow him to generate a calving report in the springtime, so he can see the list of cows that are calving and when. The Tipperary dairy farmer is a firm believer in change and has adapted to new technology when it comes to the day-to-day running of his farm. You too can join Timmy and over 8,000 happy farmers saving time on farm paperwork and managing their farms more efficiently for FREE.